How many Albanians want minister Xhafaj to leave? 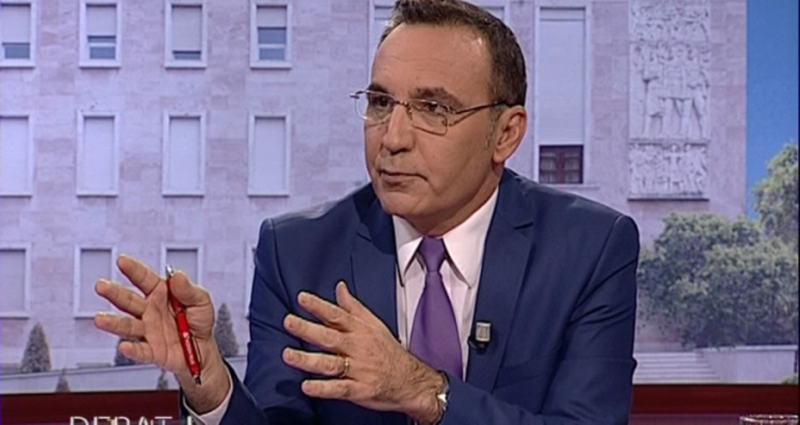 Opposition parties have called on Albanian people to take to the streets on Saturday to demand the resignation of the Interior minister, Fatmir Xhafaj. But how many Albanians want his resignation? No opinion poll has been conducted where Albanians are asked about this, but I carried out a survey in the recent days (as part of the surveys that I conduct for a magazine which is published here in English), where I asked respondents about their opinion on minister Xhafaj’s performance. The answers to this question could help us understand how many Albanians want the resignation of this minister. Around 1/3 of respondents had a negative opinion about minister Xhafaj’s performance, while 2/3 had a positive or neutral opinion (49% had a positive opinion while 19% had a neutral opinion). The sample of the survey (1188 respondents over the age of 18) was a nationwide sample representing 2.1 million people over the age of 18 in the country. By extrapolating the results of the survey mentioned above, we could say that only 670 thousand Albanians have a negative opinion for minister Xhafaj, while 1.43 million had a positive or neutral opinion (1 million and 30 thousand have a positive opinion and 400 thousand have a neutral opinion-. In other words, opposition parties are launching an appeal to the 670 thousand people who have a negative opinion on Xhafaj, because 1.43 million who have a positive or neutral opinion on him, will hardly participate in Saturday’s protest. We still need to see how many Albanians will answer to these calls. However, it would be interesting to know the political orientation of the people who are not satisfied with Xhafaj’s performance. But, the survey on Xhafaj did not have a political character. Respondents were not asked what party they were prepared to vote today or what party they have voted in the last elections. However, a political survey that I carried out two weeks ago, showed that the number of people willing to vote for the two main opposition parties was 710 thousand. So, there’s a consistency between the number of people who have a negative opinion on Xhafaj and the number of voters who are willing to vote for the two main opposition parties. Going back 11 months ago, we see that the number of people who voted the two main opposition parties was 680 thousand. Once again, we see a consistency in the number of people who have a negative opinion on Xhafaj’s performance and the number of people who voted the two opposition parties last year. On the other hand, there’s no consistency in the number of people who have a positive opinion for Xhafaj and the people who voted the majority. The survey that I conducted two weeks ago indicated that the number of people willing to vote the SP and its small ally parties, was around 720 thousand. So, the number of those people who have a positive opinion on Xhafaj is 300 thousand greater than the number of people who are ready to vote the three majority parties. Going back 11 months ago, we see that the number of people who voted the three majority parties was 830 thousand. Once again we have inconsistency in the number of people who have a positive opinion on Xhafaj and the number of people who voted the three majority parties last year. The number of people supporting Xhafaj was 200 thousand greater.